This is what multi party Select Committees were invented for. As a safety measure for situations exactly like this – when the main political parties cause a disaster and then gang up and turn their faces to the wall and refuse to see the enormous harm their misguided policies are causing. This report has been written by MPs who actually understand what is happening to sick and disabled people on the ground. The flaws in the Employment and Support Allowance (ESA) system are so grave that simply “rebranding” the assessment used to determine eligibility for ESA (the Work Capability Assessment (WCA)) by appointing a new contractor will not solve the problems, says the Work and Pensions Committee in a report published today. The Committee calls on the Government to undertake a fundamental redesign of the ESA end-to-end process to ensure that the main purpose of the benefit – helping claimants with health conditions and disabilities to move into employment where this is possible for them – is achieved. This will take some time, but the redesign should be completed before the new multi-provider contract is tendered, which is expected to be in 2018. In the meantime, the Committee recommends a number of changes which should be made now, to help ensure that claimants receive an improved service, and that the outcomes for claimants are more appropriate. “Many people going through the ESA claims process are unhappy with the way they are treated and the decisions which are made about their fitness for work. The current provider of the WCA, Atos, has become a lightning rod for all the negativity around the ESA process and DWP and Atos have recently agreed to terminate the contract early. One of the key issues which the Report identifies is that ESA is not achieving its purpose of helping people who could work in the short to medium term to move back into employment. with very different prognoses and employment support needs. spectrum of readiness for work, given the wide range of conditions and disabilities which the WRAG encompasses, and the different impacts these have on an individual claimant’s functional capacity. The descriptors used in the WCA process should also be reviewed as part of the redesign, as concerns about their effectiveness, and the way they are applied, remain, despite the recent review commissioned by DWP. rather than this decision being made by the assessment provider. workers and occupational therapists, rather than relying so heavily on GPs. progressive conditions, in the Support Group and not the WRAG. The Report also considers the impact of the introduction of mandatory reconsideration (MR) of ESA decisions, and the appeals process. MR has the potential to be beneficial, if it leads to fewer decisions being taken to appeal, and therefore reduces both stress for claimants and the cost to public funds. However, the Committee calls on the Government to set a reasonable timescale for completing reconsiderations, rather than leaving it open-ended, and to end the current illogical situation of claimants being unable to claim ESA during the reconsideration period. It is also important that both DWP and the assessment provider learn lessons from the feedback which the Tribunals Service now gives in the summary reasons for its decisions, so that more initial decisions are “right first time”. 1. Employment and Support Allowance (ESA) is the benefit paid to people who are unable to work because of ill health or disability. It was introduced by the previous Government for new claimants in 2008. 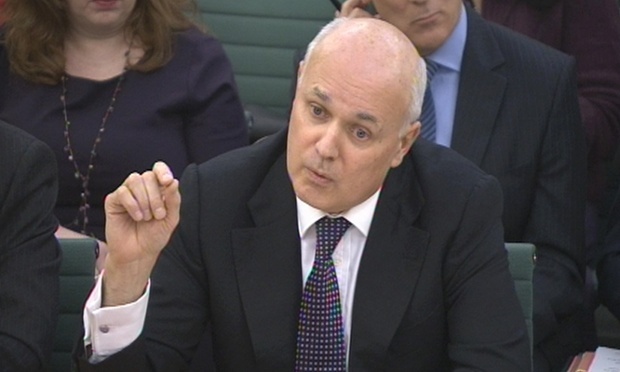 Existing Incapacity Benefit claimants began to be migrated to ESA in 2011. 2. Most claimants are required to undergo a face-to-face assessment of functional capability carried out by a private sector provider (currently Atos Healthcare) under a contract with DWP. 3. DWP has agreed with Atos that it will exit the contract for delivering the WCA 6 months earlier than planned. A new provider is expected to take over sole delivery of the WCA in February 2015, with a new contract involving multiple providers expected to be tendered in 2018. Dame Angela Watkinson (Con, Hornchurch and Upminster). This entry was posted on 23 July 2014 at 01:27 and is filed under disability, employment support allowance, work capability assessment. You can follow any responses to this entry through the RSS 2.0 feed. You can leave a response, or trackback from your own site. anxiety AND IN MANY CASES LEADS TO THEIR DEATH . re: seeking supporting evidence from Gp’s etc. I think this is the right route to take for confirmation of health conditions and how they see the condition affecting the patient. What also she be given credited to, is the carers opinion. In the assessment my relative had recently I went through all of the questions with him and wrote down the answers he gave me. In addition I went through the questions on a separate piece of paper and wrote down what I see, I never said he wasn’t fit for work but wrote what I see when carrying out activities and the process he went through doing so.In addition to how I see his symptoms affecting him and his reactions to this and what it prevents him from doing. On a different note, about giving explanations in plain english from DWP. A letter arrived a few days ago and basically all it said was “Your claim for incapacity Benefit has been terminated” giving a date when it was terminated…this was after returning an ESA application that was sent out, and after i had been told my relative was in the support group. Reading this without any other information it gives the impression the benefits had been stopped. So I calmly phone DWP and asked them to explain what the letter was about, apparently the ICB was stopping to be transferred over to ESA! We can all use work jargon in the workplace to communicate with each other, but if we understand what the jargon means and know what we are talking about, there wouldn’t be a problem putting this into plain english for the lay person to understand. I’m afraid you are one of the 600,000 ‘disappeared’ who are timed out and disappeared from the statistics. It’s a scandal but saves them an awful lot of money. It’s a disgrace. Keep shouting about it and let’s try and get you put back in the system.